I hope you are having a good day. I am an elder care provider who is flexible and am looking for work in Palmdale. Excited to talk to you soon.I hope you are having a good day. I am an elder care provider who is flexible and am looking for work in Palmdale. Excited to talk to you soon.I hope you are having a good day. 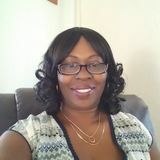 I am an elder care provider who is flexible and am looking for work in Palmdale. Excited to talk to you soon. Looking for elderly care in Palmdale, California? Need a qualified Palmdale home care provider? Do you find yourself asking “How can I find experienced private senior care near me?” Your search ends here.